The unlikely 2016 election of Donald Trump—the first president without either prior political or military office—was a repudiation of the American “aristocracy.” By “rule of the best” I mean the ancien régime was no longer understood to suggest wealth and birth (alone), but instead envisioned itself as a supposed national meritocracy of those with proper degrees, and long service in the top hierarchies of government, media, blue-chip law firms, Wall Street, high tech, and academia. The 2016 election and refutation of the ruling class did not signal that those without such educations and qualifications were de facto better suited to direct the country. Instead, the lesson was that the past record of governance and the current stature of our assumed best and brightest certainly did not justify their reputations or authority, much less their outsized self-regard. In short, instead of being a meritocracy, they amount to a mediocracy, neither great nor awful, but mostly mediocre. This mediocracy is akin to late 4th-century B.C. 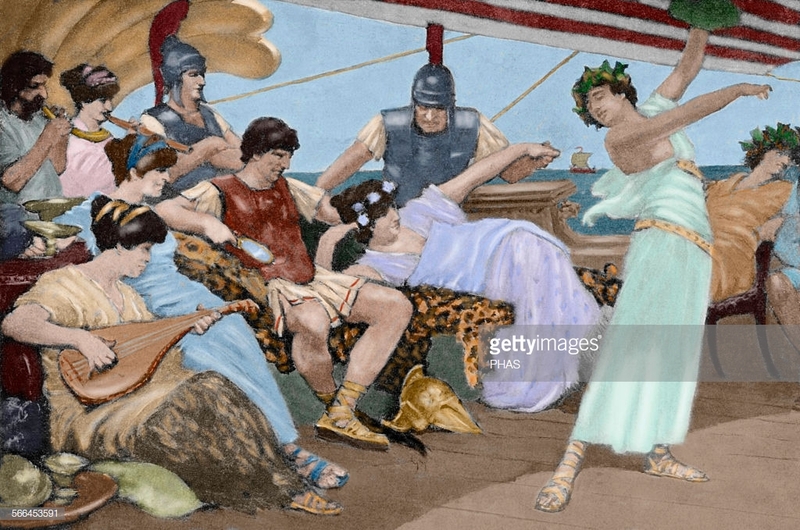 Athenian politicians, the last generation of the Roman Republic, the late 18th-century French aristocracy, or the British bipartisan elite of the mid-1930s. Their reputations relying on the greater wisdom and accomplishment of an earlier generation, while they remain convinced that their own credentials and titles are synonymous with achievement, and clueless about radical political, economic, military, and social upheavals right under their noses. Remember the “new normal”? Our economic czars had simply decided anemic economic growth was the best Americans could expect and that 3 percent annualized GDP growth was out of the realm of possibility. Big government incompetence combined with Wall Street buccaneerism had almost melted down the economy in 2008. Recent presidents had doubled the debt—twice. Few could explain how recent agreements such as the Paris Climate Accord or Iran deal could ever have achieved their stated aims, much less were in America’s interest. War planners had not translated interventions in Afghanistan, Iraq, and Libya into strategic advantage—much less lasting victory—and never offered reasons to be in such places that appealed to half the country. Most elites had assumed the deindustrialized red-state interior was doomed to a sort of preordained and irreversible decline, much of it supposedly self-induced. 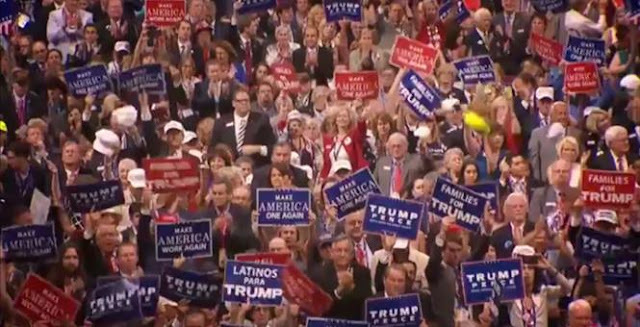 In more candid moments, elites jested that red-state losers might be better replaced by new immigrants, both legal and illegal. 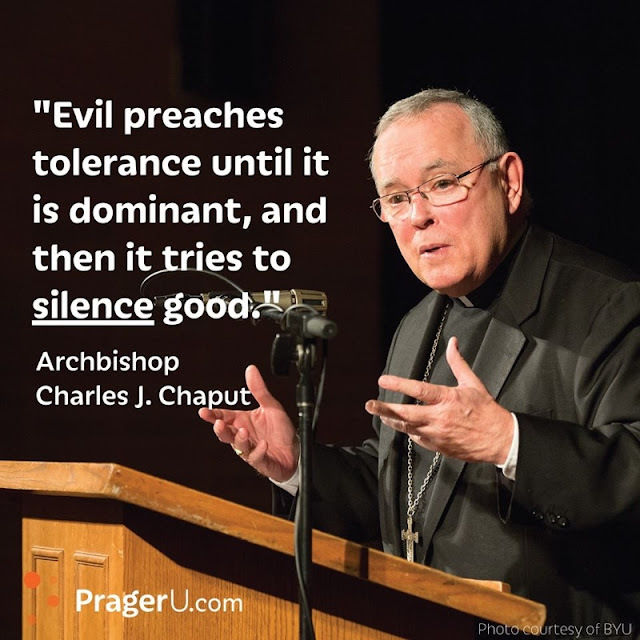 Our ruling classes either could not or would not defend American traditions and civilization in our colleges, in our government, and in our popular culture—and they were increasingly accepting of the globalist consensus that America had a flawed past requiring some sort of reparatory future. Our leadership accepted a world in which America’s misdemeanors were the source of global outrage, while China’s felonies were largely exempt from criticism. China’s global hegemony was seen as assumed and fated. Efforts to derail it were near inane or retrograde. Most Americans figured that those who lectured them on television, in op-eds, and throughout popular culture about guns, open borders, green mandates, fossil fuels, and the public schools, had the money, desire, and clout to live in desirable neighborhoods, sometimes behind walls, with ample taste for fine cars, jet trips, and private academies for their children. The charge of hypocrisy against the elite was considered juvenile—given that exemptions were needed for the ruling class to serve us all the better. How could Al Gore save us from our carbon emissions without his private jet? How could Nancy Pelosi craft drastic climate change legislation without flying to a Kona resort over the holidays? How could Eric Holder stop prejudice without a jet junket to the Belmont Stakes with his kids? How could our Malibu elite nobly sermonize about their loyal gardeners and dutiful maids without walled estates? How could Silicon Valley wizards pontificate about the evils of charter schools and the need for teacher unions, without private academies for their own? And how exactly could the heads of our intelligence agencies and justice department officials track down the crimes of Donald Trump without committing greater ones themselves? 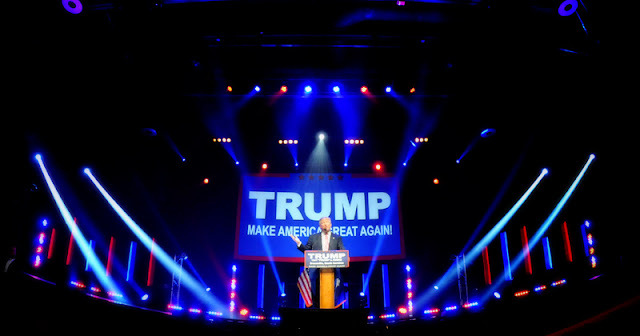 Much of the Trump agenda, although nominally embraced by the Republican Party after the July 2016 convention, was largely crafted in antithesis to the bipartisan status quo that either could not or would not end illegal immigration, secure the border, call China out on warping world trade, seek greater reciprocity with allies, curtail optional military interventions, massively deregulate, expand fossil fuel production, and return the federal judiciary to a constitutional and constructionist framework. If such a nontraditional agenda had been advanced by an “acceptable” outsider or billionaire such as Warren Buffett, Bill Gates, or Michael Bloomberg, it would have been seen as eccentric but nevertheless not blasphemous. However, Donald Trump advertised himself as a renegade whose own notorious apostasy was inseparable from his message, and who felt no allegiance to the political protocols and customs that had prepped past presidents. Trump’s often crude demeanor at times seemed to suggest that he was not just interested in revoking the results of status quo policymaking, but the very premises of the status quo itself. It is easy to suggest that much of the unprecedented hatred shown Trump is the poisoned fruit of his alleged toxic persona. And yet it is hard to calibrate whether any president has faced, from the moment of his election, the level of venom shown Trump by both political parties, and by the elite media, and the centers of progressivism on Wall Street, in Hollywood, Silicon Valley, Washington, and New York. 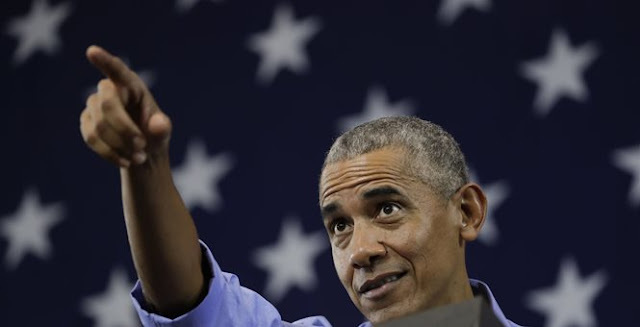 A country that once banned for life a clown from a state fair for wearing in puerile fashion a Barack Obama mask now ritually talks of impeaching, committing to an institution, overthrowing, or beating, burning, decapitating, blowing up, and shooting the elected president. Certainly, we have never seen anything like the constant anti-Trump media hatred. Since the election they've sought to remove Trump, in slow-motion coup style, by seeking to warp the Electoral College, to invoke the 25th Amendment and the Emoluments Clause, to unleash special counsel Robert Mueller with an unlimited budget, a toadyish media, a team of partisan lawyers and investigators, and prior help from the top echelons at the Obama Department of Justice, the FBI, the National Security Council, and the CIA. 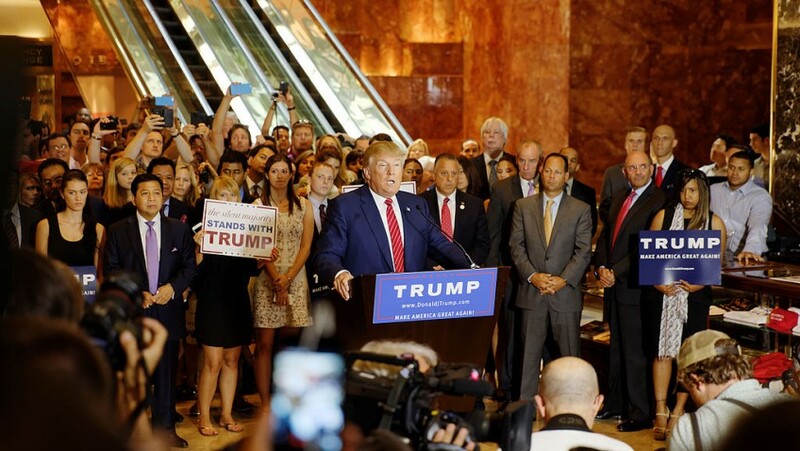 The argument of these elites and their institutions has been not just that Trump is incompetent or inexperienced, but that he is corrupt, perverse, treasonous, criminally minded, and to such a degree that the results of the 2016 should be overturned before the 2020 election. And such an end to Trump’s elected governance is justified not merely by his toxic person, but also by the racist, sexist, nativist, xenophobic Americans—the counterfeit half of the country—who elected him. 1) There is a clear moral, legal and popular prerogative to remove Trump. Yet for all the efforts of the professional politicians, the lockstep media, and the elite academic, legal, and financial communities, there is neither a rational nor legal basis to remove Trump. Instead, he enjoys about the general level of support as did many past presidents at this juncture in their administrations. He has survived his first midterm in better fashion than did either Bill Clinton or Barack Obama who were both later easily reelected. It’s unlikely Trump will be convicted of any crimes as outlined by the Mueller collusion investigation. It is more likely he will prove to be the most investigated, probed, and audited president in history. And even more likely, top officials at the Justice Department, CIA, and FBI will be facing eventual legal exposure for unethical and illegal efforts to damage the Trump candidacy, transition, and presidency. For all the perceived chaos and disorder in the Trump Administration, it certainly has so far achieved a stronger economic record than did his predecessors, whether adjudicated by GDP growth, unemployment, energy production, or deregulation. Even a shaky stock market is still much higher than it was when Trump took office. Likewise, abroad, for all Trump’s supposed unpopularity, privately most Americans and many so-called experts agree that the Iran Deal was fatally flawed, the Paris Accord was a charade, the “Palestinian” problem was ossified, a radically new policy toward China was overdue, the Pentagon needed to be recalibrated, and old American partnerships were in dire need of recalibration from NATO to NAFTA. 3) There is a logical and systematic antithesis to Trumpism. If so, will either primary or general election candidates run on open borders being preferable to secure ones? Eliminating ICE is better than maintaining it? Defense cuts are necessary? Far more gun control? Medicare for all? There is too much American natural gas and oil production? The economy would be better off with higher unemployment and slower growth? Food stamps need to be increased not reduced by over 3 million recipients? We are too harsh on Iran and too accommodating of Israel? Taxes are too low, government too small, and entitlements too few? Did Trump appoint too many unqualified strict constructionist judges? Were John Bolton and Mike Pompeo incompetent? Whom Are We To Trust? As we look to our celebrities, billionaires, intellectuals and senior statesmen, a sort of American pantheon, do we to find sources of reassurance in Hollywood, perhaps in the statements and behavior of the last two years of Cher, Barbra Streisand, Robert De Niro, Johnny Depp, or Madonna? Do the Oscars, Tonys, and Emmys showcase the expertise, competence, and professionalism of our entertainers? Do the recent statements of the elite marginalized—a LeBron James, Alice Walker, or Tamika Mallory—remind us to reset our ethical bearings, or do they instead suggest that intersectionality can at times exempt, rather than serve as an impediment to, anti-Semitism? Has Alexandria Ocasio-Cortez shown how superior erudition and common sense? Perhaps Harvard, now facing allegations that it systematically discriminated on the basis of race, can reassure us of progressive values in these tough times? Can its first Native American professor Elizabeth Warren help us endure Trump? Or maybe Google, Facebook and Twitter can show us the way to protect our civil liberties, free expression, and non-partisanship? Do the heads of our major entertainment and news organizations, a Harvey Weinstein and Les Moonves, offer sources of refuge in these supposedly dark Trump years? 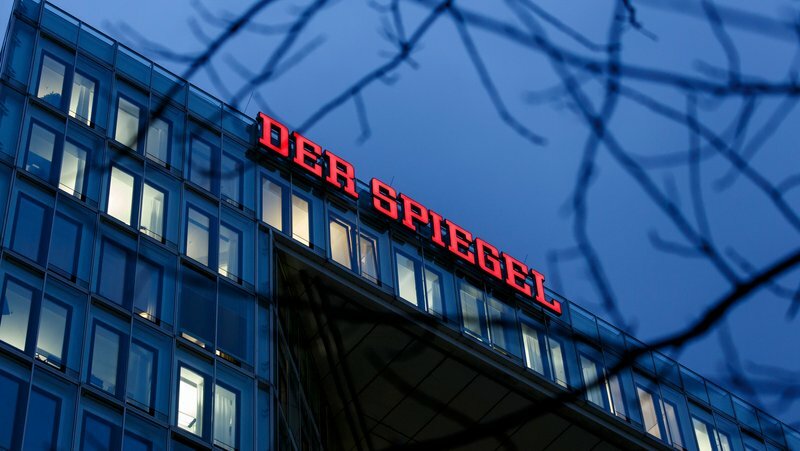 Have trusted journals like The New Republic or Der Spiegel been reliable beacons of truth? Perhaps we can look to the elite of the media, to the careers of Dan Rather, Brian Williams, Matt Lauer, Charlie Rose, or Mark Halperin, or stellar writers such as Leon Wieseltier, Glenn Thrush, or Garrison Keillor to help us recover our moral bearings. Could a wide array of our best intellectuals, politicians, and activists help find our way home in in the age of Trump, perhaps truth tellers such as Doris Kearns Goodwin, Al Franken, or Dianne Feinstein? 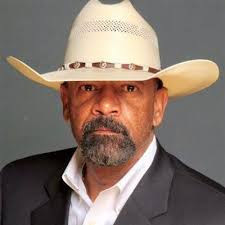 Could not Joe Biden weigh in on the evils of plagiarism, Cory Booker cite the dangers of fabulism, Harry Reid warn of racial stereotyping, or Kamala Harris on the perils of religious bigotry? Maybe the elites of government will be our touchstones. Trump critic, James Comey, the director of the FBI, has told Congress on 245 occasions during a single appearance that he does not know or cannot remember the answers when asked questions. The cable television critic and former Director of National Intelligence James Clapper had lied under oath to Congress and fabulously claimed that the Muslim Brotherhood in Egypt was largely secular. John Brennan, another cable television consultant and the former CIA head, has trumped Clapper by lying twice to Congress. Brennan also claimed that jihad was little more than a personal introspective religious journey. Are these our watchtowers of sobriety in these dark times? Both Hillary and Bill Clinton, by education, careers, and service, are advertisements of the ruling class. Yet, she was the godmother of the disastrous Libyan incursion, knee-deep in scandal from cattlegate to Benghazi to Uranium One, and hired a foreign national during the 2016 election to find dirt on her political opponent through the paid services of foreign sources. Bill was impeached and somehow ended up worth well over $100 million largely by selling influence on the premise he and his spouse would one day be back in the White House. The Clinton Foundation is synonymous with corruption. So do the most acerbic critics of Trump and iconic members of our aristocracy inspire confidence? Former National Security advisor Susan Rice, to take just one recent example of a prominent critic in the news, lied repeatedly about the Benghazi attacks. About the sordid details of buying back hostages central to the Iran deal, she said:“and we were very specific about the need not to link their fate to that of the negotiations”. The point of this tour of our elite is not to excuse Trump’s often retaliatory crassness or bombast, but to remind us that our self-righteous anti- and pre-Trump aristocracy was so often a mediocracy. It had assumed status and privilege largely on suspect criteria. Its record abroad and at home inspired little confidence. Doing mostly the opposite of what elite conventional wisdom advocated since January 2017 has made the nation stronger, not weaker. Strangest of all, the elite’s furious venom directed at Trump, couched in ethical pretense, has had the odd effect to remind the American people how unethical and incompetent these people were, are, and likely will continue to be. Trump is correct. 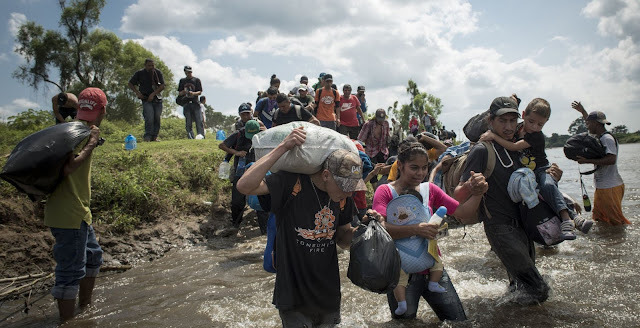 The “caravans” that have besieged our southern border in a direct attack on our nation’s sovereignty exist with the aid and sufferance of the governments of Guatemala, El Salvador and Mexico, as well as leftists of various stripes. We should defend American interests by retaliating against those governments. Enough is enough. Trump is correct: illegal immigration into the U.S. is facilitated and encouraged by the Mexican government, because Mexico’s economy benefits greatly from money sent back to Mexico by Mexicans working illegally in the U.S. Meanwhile, Mexico has tight controls on its own borders. Some conservative Latinos say their political leanings make them feel more like a minority than their ethnicity does. The 2018 election was good to Democrats, but Florida disappointed them. They couldn’t convince enough of the state’s often right-leaning Cuban-American voters to support Sen. Bill Nelson, who was ousted by the GOP’s Spanish-speaking Gov. Rick Scott, or rally them behind Democrats’ gubernatorial candidate, Tallahassee Mayor Andrew Gillum, who lost to Republican Rep. Ron DeSantis. The American left has perfected the art of changing the meaning of words or phrases. For example, gun confiscation is reshaped to now mean “sensible gun safety measures.” White male now means privileged. Republican and racist are now interchangeable words. Voter ID laws for fair and clean elections means voter suppression to liberals. Moreover, political violence—torching buildings and bludgeoning innocent Americans on the street is now synonymous in their lexicon, as a peaceful protest. The American left has struggled for a long time dealing with another term: liberal. Conservatives were successful at demonizing the term when George H.W. Bush labeled his presidential opponent, Michael Dukakis as a card-carrying liberal. The term turned into a political pejorative and liability, so they went back in time and now proudly refer to themselves as Progressives. They are counting on people not researching the history about the founders of the Progressive movement. 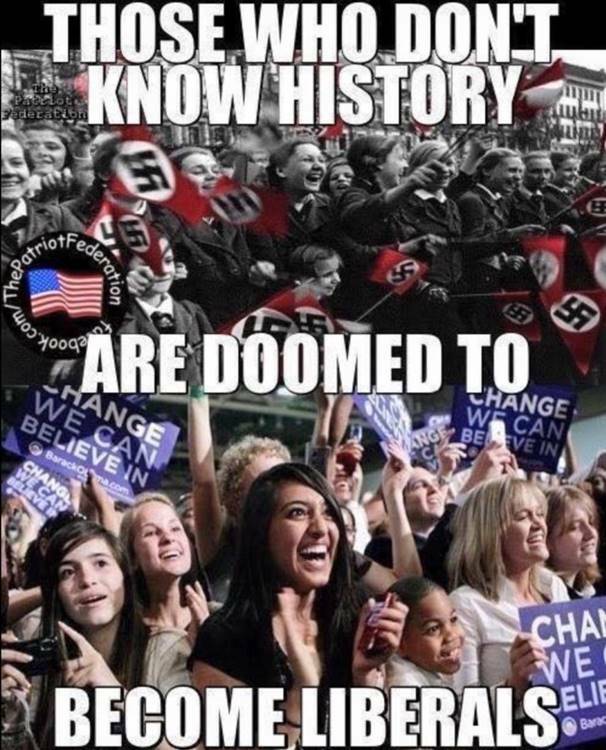 Liberals have become skillful in revisionist history about their Party’s past, bamboozling voters along the way. They skillfully separated black people from their history ignoring the fact that the Democratic Party was the party of slavery whom pre-civil war fought hard in Congress to uphold the ugly institution. They ignore the reality that the Democratic Party opposed the Civil Rights and Voting Rights Acts of the 1960s. They want voters to forget that the Ku Klux Klan was their fighting force during the post-reconstruction and Jim Crow era that enforced southern Black Codes. They are hoping voters never learn the Klan’s mission was to maintain white supremacy by violence and threats against newly freed blacks and Republicans. They hope voters are too intellectually lazy to research and discover it was the Republican Party that was founded on the principle of ending slavery and later pushed for and passed the Civil Rights and Voting Rights Act. The Democrats’ love affair with the idea of a bigger role for government in the lives of Americans was spawned in the Progressive movement of 1890 to 1920—a period that saw an increase in social activism. The architects of Progressivism were the leading college and university so-called intellectuals of that time. As proud as Democrats are with the term Progressives, they don’t tell voters that the Progressive ideology architects were racist to their very core, who ignored the plight of blacks and were eugenicists. Author and historian, Professor Thomas C. Leonard, in an article on the Progressive movement titled Illiberal Reformers, details several Progressive facts. He directly quotes works from these Progressive racists, like Progressive Economist John Commons who said, “By the cataclysm of a war in which it took no part, this race (blacks) after many thousands of years of savagery, was suddenly let loose into the liberty of citizenship and the electoral suffrage. Black suffrage was not an expansion of Democracy but a corruption of it.” Let that sink in for a moment. There’s more. The irony here is irrespective that Ross had made these racist remarks, former University of Wisconsin President Van Hise named the student housing building on the liberal campus after him. Why have there been no protest or demand that the university remove his name from that building? At Yale University, student protests and activism led to the university changing the name of a building named after former vice-President John Calhoun, an ardent supporter of slavery. Apparently, news of this has not reached the University of Wisconsin campus activists, or they are clueless, or maybe they don’t care. As you can tell, these leading Progressive architects weren’t reformers—they were arrogant, elitist, racists whose attitudes had shaped public policy. Leonard further points out in his article that they supported forced sterilization and believed in socially engineering a master race. They despised Jews, Asians, Catholics, women and the disabled. They thought these groups were too stupid to vote and should be prevented from doing so. Their interpretation of Democracy was control of the masses by a small group of bureaucratic experts. Progressivism defined the Democratic Party then. I maintain it still does today. Look at their support of abortion, which was the eugenic idea toward population control for minorities during the Progressive era. Today more black babies are murdered by abortion than any other demographic. In 2014 in New York City, more black babies were aborted than were born. That same year 73 percent of all abortions were either black or Hispanic. Need more evidence of Progressive’s link to their sordid past? Look at the state of K-12 public education. Black and Hispanic students are shackled to these failing schools. Many black and Hispanic children cannot read at grade level nor can they add, subtract, multiply or divide. Progressives oppose choice and charter schools that offer struggling parents a lifeline out of poverty. One would have to be a sociopath to keep these kids trapped in this abysmal environment. Embracing the term Progressive is appalling. I am calling on Democrats and liberals to scrub the label Progressive from their vocabulary and never refer to themselves as Progressives or that disgusting period ever again. 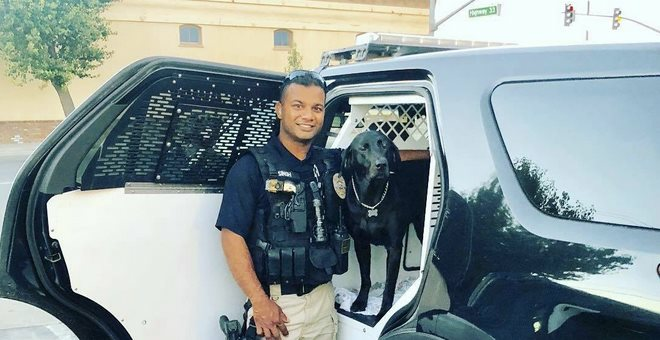 Singh leaves behind a five month old son and a wife. 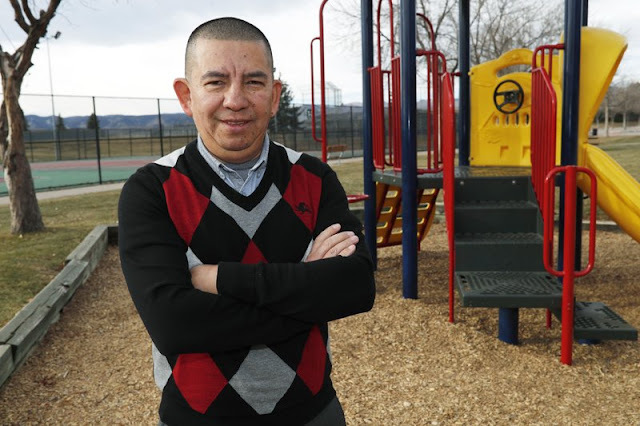 He came to America as a legal immigrant in pursuit of his dream to become a police officer. "This is not a big department. This is a department of 12. This is a man that i saw everyday he worked. This is a man I relieved on Christmas day so he could go home and spend time with his family and newborn child," Newman Police Chief Randy Richardson said. "He was truly just a human being and an American patriot. Ron was not born in America. Ron was born in Fiji. He came to this country with one purpose and that was to serve this country." "One of my first hires was Ronil Singh. He had a thick accent, he was hard to understand at time because English was not his first language," he continued. 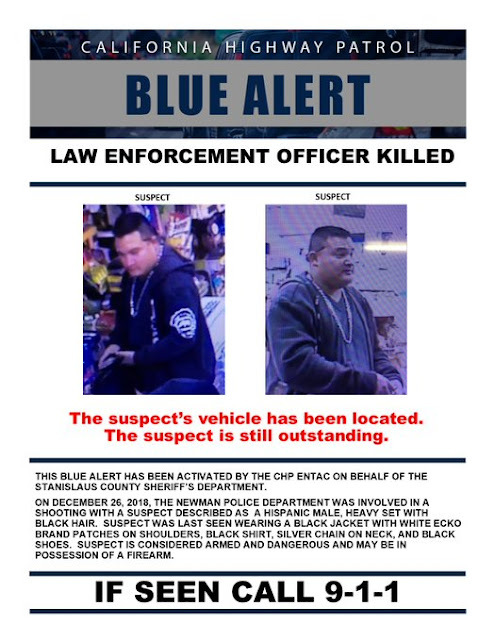 "When I sat with him in the chief's interview, he told me he came to America to become a police officer. That's all he wanted to do." 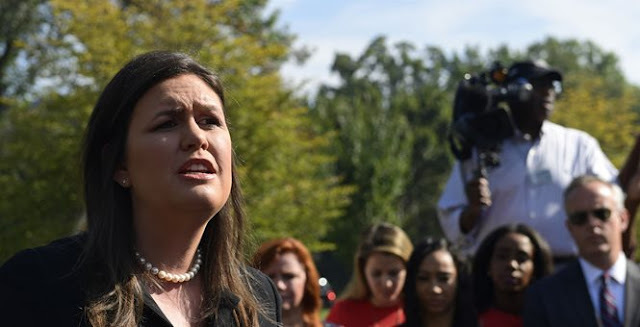 White House Press Secretary Sarah Huckabee Sanders tweeted a condemnation of CNN Thursday after they targeted U.S. troops in Iraq because some of the troops displayed hats and logos supporting President Trump during his visit. “CNN will attack anyone who supports President Trump, including the brave men and women of our military who fight everyday to protect our freedom,” she tweeted. Troops bringing President Trump "Make America Great Again" hats to sign. 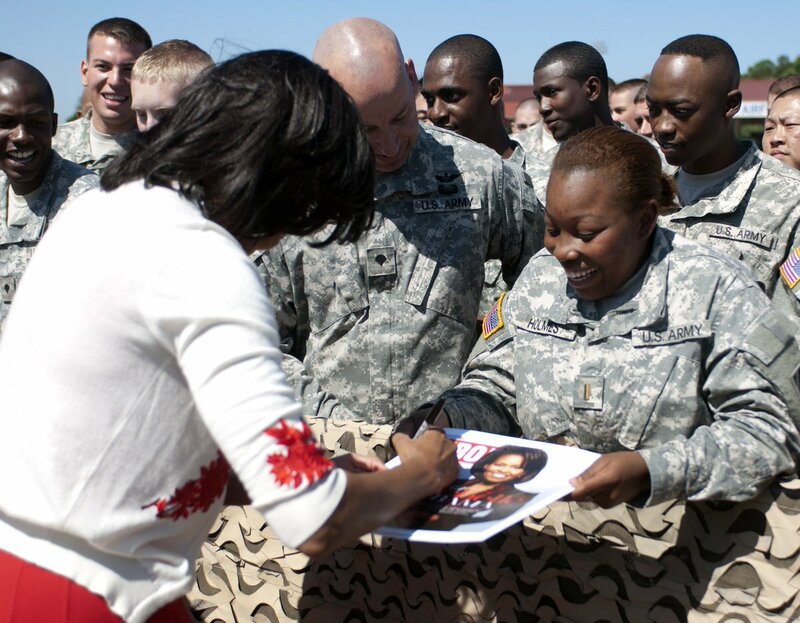 In the article Sanders linked to in her tweet, CNN argued that the troops with Trump “Make America Great Again” hats may have violated Department of Defense guidelines saying that "active duty personnel may not engage in partisan political activities and all military personnel should avoid the inference that their political activities imply or appear to imply DoD sponsorship, approval, or endorsement of a political candidate, campaign, or cause." 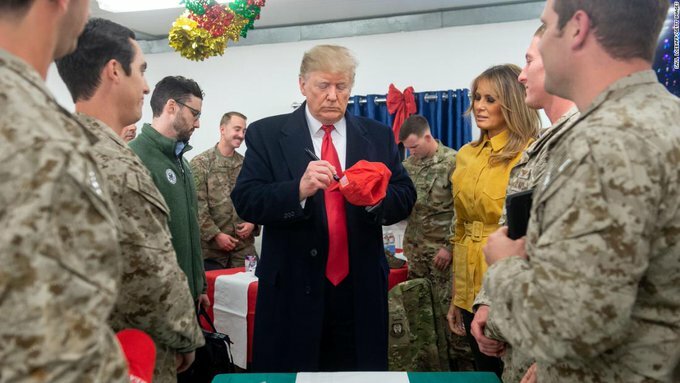 After slamming President Trump for failing to visit U.S. troops during Christmas time earlier this week and then having to completely backtrack when news broke he was in Iraq...visiting active duty troops, the media is still finding ways to criticize. CNN's latest concern? That U.S. service members dared to ask President Trump to sign their Make America Great Again [MAGA] hats. In fact, they're accusing soldiers of breaking U.S. military protocol that could result in punishment. 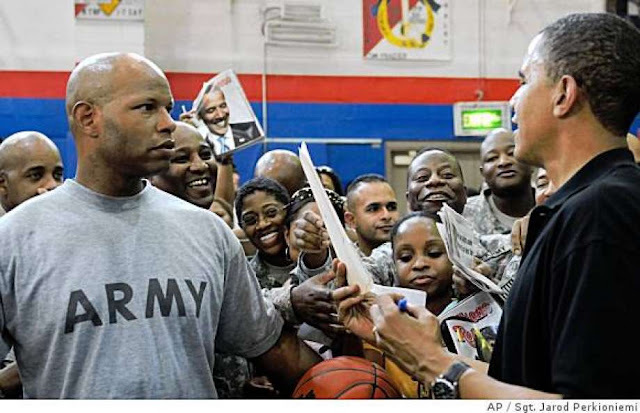 But it turns out President Obama signed personal objects, like his photo, while visiting U.S. troops during his tenure. First Lady Michelle Obama also provided her signature to those who asked. And no, U.S. troops didn't violate any rules by asking President Trump, or Obama, for a signature. As usual, the outrage only came down on one side. John Roberts would be more credible rebuking Donald Trump if he did more to rein in the lower courts. 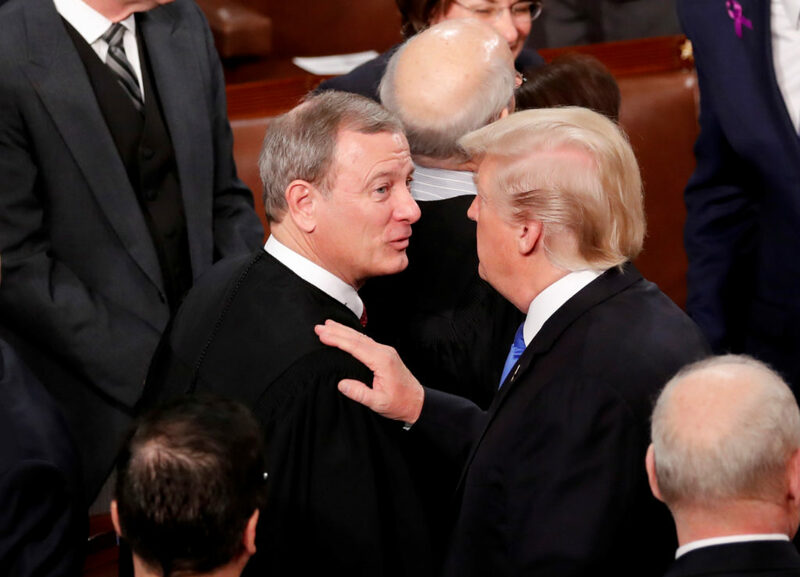 Chief Justice John Roberts was praised far and wide last month when he chastised President Trump for referring to a judge who ruled against his migrant asylum policy as an “Obama judge.” The Chief was right to defend the independence of the judiciary, but he’d stand on firmer ground if he also did more to rein in the growing political excesses of the judiciary. Time and again in the last two years, lower-court judges have overturned Trump policies on dubious legal grounds. Worse, they have issued injunctions that block the policies nationwide before considering the merits. These injunctions used to be a rarity, but judges know that appeals can take months to get to the Supreme Court and in the meantime the executive branch is stymied. Over time this will make the judiciary look more political, not less. One example is Mr. Trump’s recent asylum restrictions. The President's immigration enforcement can be blunderbuss and heavy-handed. 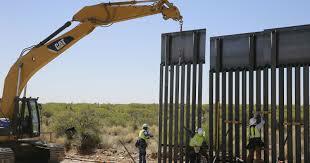 But the latest rules are calculated to promote order at the southern border amid an unrelenting flow of Central Americans seeking entry. 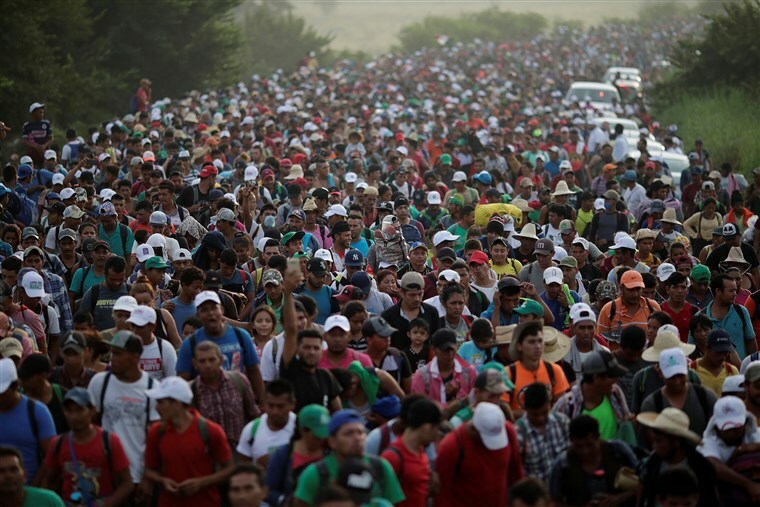 Any President would have to put limits on this unprecedented migrant surge. The U.S. asylum system was established after World War II to provide refuge for persecuted foreigners, but it needs an overhaul. Immigrants apprehended at the border can dodge immediate deportation by seeking asylum. Claims can take years to process, and in the meantime applicants are released into the nation’s interior. We support generous immigration, including flexible guest-worker visas that can adapt to a changing labor market. But many migrants seeking asylum in the U.S. aren’t escaping persecution, and the surge in claims is straining government resources while eroding public support for legal immigration. Enter the Trump Justice Department, which in June directed immigration courts to bar migrants who say they are fleeing domestic or gang violence from receiving asylum. Last month the Justice and Homeland Security departments also limited asylum eligibility to migrants who present themselves at ports of entry, as opposed to entering the U.S. illegally and then seeking asylum. But most migrants fleeing gang violence do not fall into these categories, and the law gives the President authority to “establish additional limitations and conditions, consistent with this section, under which an alien shall be ineligible for asylum.” A President may also temporarily “impose on the entry of aliens any restrictions he may deem” are in the national interest. In other words, the law balances Congress’s constitutional powers over immigration with the executive’s Article II authority to protect the homeland. The Supreme Court has consistently upheld the President’s authority to limit migration within parameters established by Congress, including a government policy during the 1990s of interdicting Haitians at sea. Yet liberal judges have been ignoring Supreme Court precedent. Last week federal Judge Emmet Sullivan declared the June asylum restrictions “inconsistent with the intent of Congress” and ordered the Trump Administration to return to the U.S. deported migrants who claimed they had suffered domestic abuse in their home country. This followed a nationwide injunction by Judge Jon Tigar last month blocking the Administration’s limits on asylum eligibility to ports of entry. That’s when Mr. Trump lambasted the “Obama judge” on Twitter. Mr. Trump played the bully as usual, but he’s right that too many judges are grafting their political preferences onto the law and arrogating to themselves powers that belong to the legislature and executive. Judges are supposed to consider the likelihood of a lawsuit’s success as well as the balance of harms before they enjoin a policy. No surprise, a Ninth Circuit Court of Appeals panel summarily dismissed the Trump Administration’s policy reasons for asylum restrictions and breezed past nuances in the law. But Judge Edward Leavy skewered the majority’s analysis in a tart dissent. Last week Chief Justice Roberts joined the four liberal Justices to sustain the injunction, 5-4. Perhaps the Chief felt obligated to sustain Judge Tigar’s injunction after defending him against Mr. Trump. Or maybe he wanted to reinforce the Court’s independence after Mr. Trump replaced Anthony Kennedy with Brett Kavanaugh. But these are political considerations, and the Court’s job is to uphold the Constitution, as the Chief explained in his June opinion upholding Mr. Trump’s third travel ban. Like the challenge to the asylum restrictions, the travel-ban case involved an apparent tension in the Immigration and Nationality Act. But the Court eventually found that the President was acting within his authority. The Chief is said by his admirers to play the long game and wants the Court to take a more modest role in American politics. Sounds good. But failing to stop usurpations by lower courts encourages judges to act like politicians and undermines public confidence in the judiciary’s independence. The Chief has to send a message of discipline and restraint to willful lower-court judges as much as to Mr. Trump.